Notes This album is a mixture of vocals and instrumentals with jazz, boogie-woogie and rag making up the bulk of the 23 tracks. 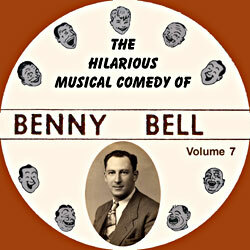 Although most of the songs are by Benny Bell, there are a few tunes sung or orchestrated by others. The comedy of Bell and his word-play continue to entertain the listener in the tunes he sings.